72 caffeine-fueled hours to launch a company, gain traction, refine a pitch, and make an app – how does it even happen? I likely cannot do the experience justice, being a week removed from it, but suffice to say it was the most sleep deprived I’ve ever been over 3 days, and as an unrelenting hackathon addict, that statement carries some weight. 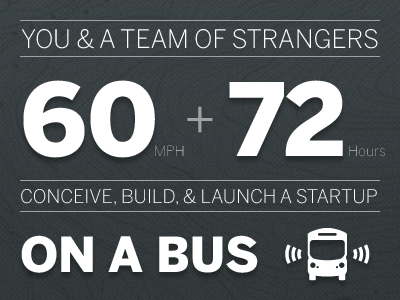 Let’s step back a bit – what is Startup Bus? Startup Bus is a *ahem* “leisurely” bus ride from one of 10 destinations in the U.S. to the exciting South by Southwest Interactive Festival in Austin, TX. All that is required of you over the 3 days of travel, with minimal wifi and occasional delays due to sandstorms, is that you build a startup. Yep, you just have to have a good idea, convince some people to work with you, and then make it reality, in 3 days. Then you have to convince a panel of jaded venture capitalists and been-there-done-that entrepreneurs, that you’re idea isn’t total garbage, and you get a succinct 60 seconds to prove why you should make the first cut, about two minutes the second time around, and if you make it to the finals… you just might finally have time to brag a little in your presentation about what you accomplished in less than a handful of days. So what did I do for three days? I helped build Yobrio… well actually that was in the last 2 days. Our original idea was something along the lines of a virtual marketplace for coupons and coupon swapping, but at 4am, after probably 20 hours poured into “Plumswap,” we were tired of bickering of the minutia of extreme-couponing. Just before giving up for sleep, during a late-night run to the gas station, one of our members suggested an idea for transforming print media into a virtual shopping cart. From a technical standpoint, this is a pretty crazy idea, but as many a developer would say over the days that followed, I agreed and said “**** it, we’ll do it live!” And we were off. I feel like I got to know these guys (and gal) very well over the nearly week-long journey we took. Considering 5 of the 6 of us not only ate and worked in the same place, but also slept in the same place for over 72 hours, we were pretty comfortable together. 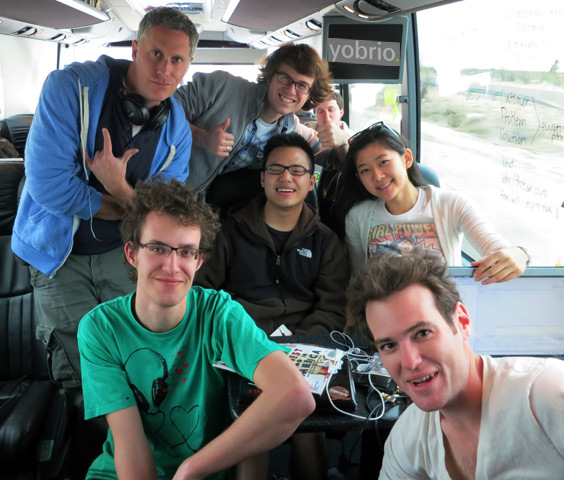 I would venture to say we were among the younger teams on our bus, considering there were so many of us, and none (save Andy) were probably over 25. After all the work on the bus, we were pretty burned out, especially by the time we got to San Antonio, our near-last stop. A night on the town (in perfect Startup Bus style, work-hard, play-hard) brought us all cobbling back together around 4am ( a fateful hour apparently), but no work was to be done that night, we all passed out. Then we hit first round of pitches, what an experience. The judging panel tore through startups like cotton candy, and we didn’t exactly rattle the panel with our pitch either. But alas, we made the semifinals! 18 out of about 60 teams, and we were among the lucky few. I did very little coding after this point, as I had lost steam and I was transitioning into another event this past week (SXSWi with the IGDA scholars). This was all clean up for everybody, the pitch got refined to the point of ( I thought ) perfection, and Daniel and Yaxi (our team of hustlers) did it justice on stage at the LaunchRock space (which was just a converted wood shed, in case you were wondering). Unfortunately, that is where our journey ended. The panel was not at all receptive and grilled us pretty thoroughly on the business model, the tech, etc. And the LA bus was eliminated entirely from the finals. I have to say I’d love to do it again, get to know a different group of people through such an intense experience, and work on something that is more feasible in the time frame (or at least, work on it for 3 days and not 2). This was a great experience in learning what matters to these business minded investors. 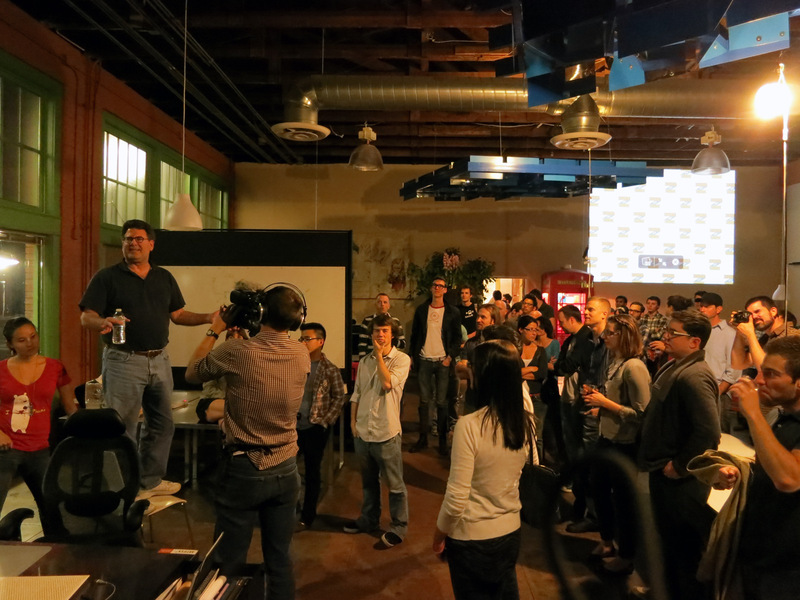 The product didn’t even come into play until the final round, it was all about business model, traction, and the pitch. This is a whole new world for an engineer who is all about the product being built, but I now know how I might be able to leverage such people for money in the future. Would I do it again? Yes. But next time… I think we need a Detroit bus, who is with me? Great article on what really happens… the pitch matters! But without a product, biz plan, etc. you won’t have much to pitch.